We’ve spent decades perfecting our signature technique to provide a safe, challenging and graceful workout. Long, lean sculpted muscles and a feeling of personal strength, confidence and poise keep thousands of students across the country coming back year after year. Every Bar Method class starts with a warm-up, upper-body exercises and push-ups in the middle of the room, followed by a sequence of leg and seat work at the barre and core exercises on the floor. The method predominantly uses your own bodyweight for resistance along with a few basic props – free weights, mats and a ball. Students are continually challenged with endless variations of each exercise timed to the beat of the music. While each class is unique, the method follows a consistent sequence to work the right muscles in the right order, in order to maximize results. Students of all levels work within their individual limits while receiving encouragement to continually push forward. The Bar Method’s signature technique is the fastest and most efficient way to reshape the entire body. Precise isometric exercises keep students working “in the muscle,” followed by active and passive stretching to lengthen and elongate the area just worked. The result is a graceful, strong dancer-like body, including sculpted arms, flat abs, a lifted seat and elongated thighs, as well as improved posture and body alignment. The fast pace of the class spikes the heart rate at different intervals to burn calories not just in the classroom, but long after. Students see remarkable results within just a few weeks. The Bar Method physical results are unparalleled but the effects of the workout carry through to other areas beyond the classroom. Students leave feeling centered and in touch with their inner personal strength. Instructors find creative ways to get the very best from students, pushing past boundaries and replacing doubts with a newly found sense of grace and poise. The undeniable physical changes that result from the method helps students to recognize the strength they have always held within themselves. This acknowledgement has the power to shift self confidence in a profound way. Our signature Bar Method (60 min.) class is great for anyone looking for a fat-burning transformation. Our Bar Advanced (60 min.) workout challenges experienced barre enthusiasts to push the limits of their inner and outer strength with thorough thigh and seat work. Our Bar Move (60 min.) class uses fast footwork to keep cardio-lovers’ hearts pounding and minds guessing. And our Bar Express (45 min.) class enables on-the-go-getters to pack a full-body workout into a shorter class format. Check with your local studio for class times and any requirements. The Bar Method technique stands apart because it is safe, smart and personal. It was created under the guidance of physical therapists to ensure it is safe and effective for students spanning a wide range of abilities including those with physical limitations and injuries. Unlike other barre workouts, our instructors undergo a lengthy and rigorous training that includes lessons of anatomy and hands-on adjustments. Annual certification exams ensure the highest standards are upheld across the entire teaching community. Our students receive personalized adjustments, modifications and encouragement to get the most out of every workout. It’s a workout that is safe and sustainable for life! Get the best barre instruction anywhere, anytime! 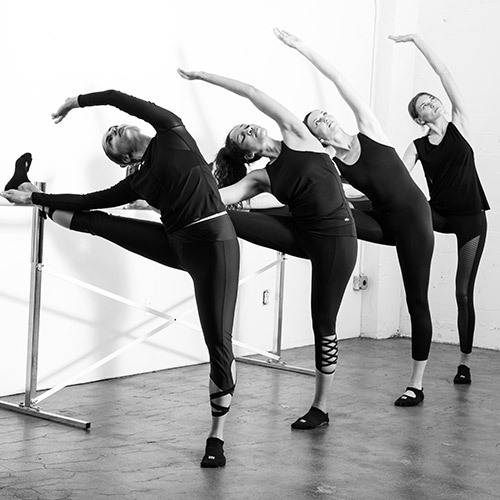 We have more than 100 barre studios located across the U.S. and Canada! Transform your home, office, or hotel room into your own private studio!